It’s no secret that networking can propel your career to the next level, but it’s important to pick the right venue when you’re hosting a networking event. The old real estate mantra of “location, location, location” definitely applies here, because your venue choice will essentially make or break the overall event (not to mention the impact it will have on your budget). Since networking events require high levels of personal interaction, you’re going to need to choose venues that can facilitate that type of activity without conveying any kind of “schmoozefest” vibes. Below are some unique and highly effective venue ideas you can consider for hosting your next networking event. Art galleries provide plenty of visual stimuli and opportunities for discussion. While art galleries are typically more formal spaces, you don’t have to choose a super-fancy (i.e., costly) venue for the event to be effective; in fact, the art department of a local college or university will work just fine. You can also explore the option of including a quick presentation by a local artist, or even a guided tour of the gallery’s most important pieces. Not too many people would turn down the opportunity to make important business connections while sampling hand-crafted beer. Breweries are fascinating places to explore, which means that they can appeal to long-time beer lovers as well as first-time visitors. You can include a beer tasting as part of the evening’s itinerary, and possibly even plan an appetizer menu that pairs well with beers the brewery will sample. For an invigorating change of pace, try hosting your next networking event at an escape room. In this unique and exciting experience, participants are locked in a themed room and must solve a series of puzzles and riddles to find the key to escape before the 60-minute time limit expires. Players are encouraged to search the various elements of the room–e.g., clocks, playing cards, books, vases, paintings, compasses, lamps, etc.–to find clues that will (hopefully) lead them to their freedom. Be warned, however, there are several objects deliberately planted in the room that will lead to nothing more than dead ends. Not only will your participants employ their best problem-solving and critical thinking skills to find their way out, but they will engage in plenty of personal interaction while they’re doing it. Houdini’s Room Escape is a great example of a Cincinnati escape room venue that would be perfect for hosting your next networking event. Nice cars have a nearly universal appeal, so hosting an event in this type of space is almost guaranteed to provide an enjoyable environment for your attendees. This type of venue lends itself to networking events, because the wide open spaces provide plenty of room for attendees to move around and mingle. In addition, you can hire a photographer to take pictures of guests in front of their favorite fancy car to provide an unforgettable experience. 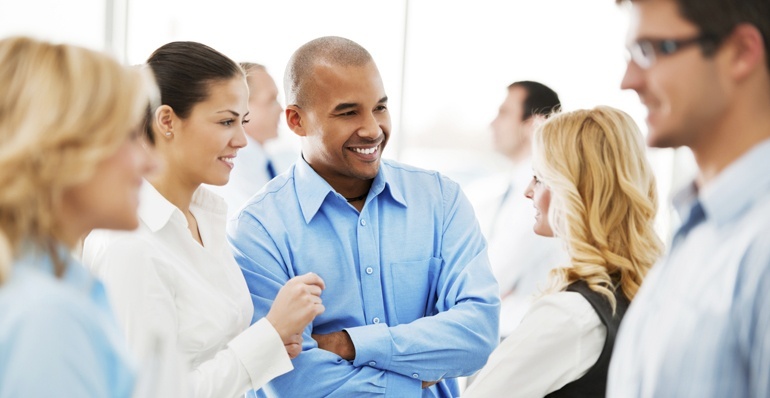 Your next networking event doesn’t have to be a dud. Keep the above venue ideas in mind in order to create an engaging, one-of-a-kind experience for your event attendees.